I was so happy to visit with Jason Kesner last week to taste his incredibly well-made Kesner wines. Since his inaugural 2002 vintage, it's his Chardonnays that to me, stand out in the crowd each time I taste them. The Heintz family has been farming this land since 1912 with rows planted in 1982. This is a cool climate, sandy site near the coast that yields well bodied yet firmly structured fruit with delicate earthen tones. 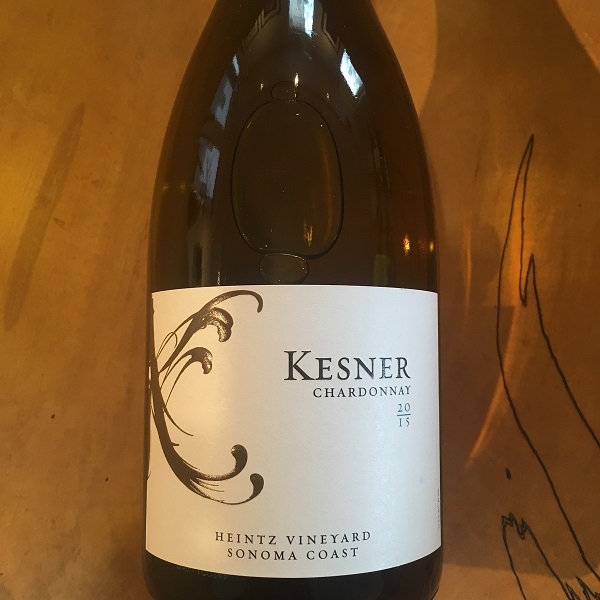 "Delicate white spring flowers, lemongrass, citrus rind and esters of golden stone fruit paired with a steely sulfide component, and a hint of fresh whey on the nose are the dominant flavors. The wine is elegant, balanced and classic." In 2008, Jason joined Kistler Vineyards in Sonoma County where his time is split between the vineyards and the winery. In the summer of 2014, Jason was named winemaker for Kistler Vineyards.